Do you look at other entrepreneurs & get jealous of their success? Yep, me too. We all do. But I’ve got one simple solution: turn inward & define your own success. Stop looking around & look down at your own notebook. What do your own notes say? What does success look like for you? What kind of business do you actually want to run? We’re talking WANTS, not shoulds here. There’s a big difference. But these things won’t necessarily work for you. Because nothing works for everyone. Are you trying to get your message out to the masses? Or are you targeting a select few in a luxurious, high-touch way? What do your dream clients need to hear from you to prick up their ears? How do they need to hear your message? Do they prefer to watch videos? Do they prefer long, detailed blog posts? Do they prefer actionable content or inspiring content? How frequently do they need to hear from you? What could you do that would be indispensable to your dream clients? What kind of vibe do you want your client relationships to have? How do you want them to FEEL when they work with you? There are so many different ways to run your business. Stop looking so broadly at the big, famous online entrepreneurs you see everywhere, but think about whether you would actually want to run a business like theirs. 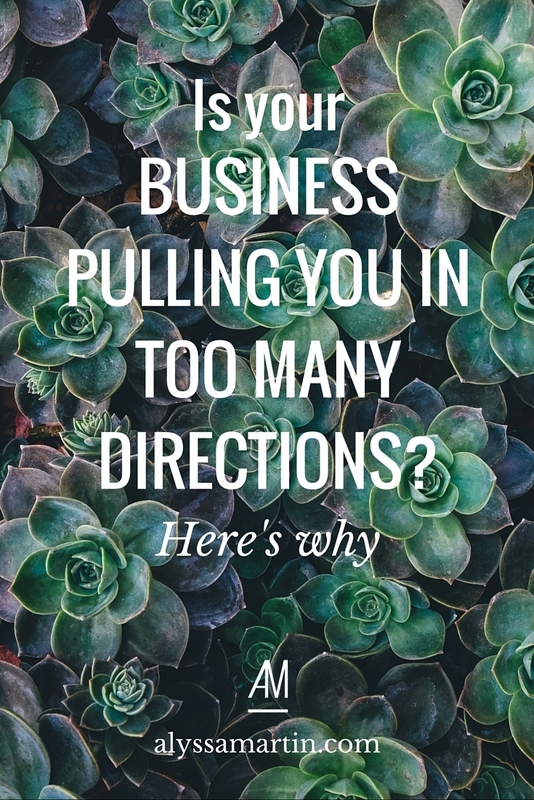 Do the way they structure their business make sense for you? If not, find a way to build a business that you’d actually enjoy running. Any other way is unsustainable, un-fun & you’ll burn out. Nikki Elledge Brown really triggers me. I look at her super speedy rise to online fame & I kinda want to cry. Or slap her. Or both. And her super sweet personality just makes it even more annoying. I don’t want to like you, Nikki, I’m extremely jealous of you! I want to have that much success that fast. I want to make that much money. I want to be featured in all the awesome places she’s been featured. I want to be the talk of the town. I want to be universally adored. I would actually hate to run her business. There are 300-odd people in her online course. The idea of teaching 300 people horrifies me. I do not want to be responsible for 300 people. I’d much rather work directly with one super special client at a time. I want to really know each of my clients. I want to connect with them. I want to value them, understand them, care for them. And I’m not saying that Nikki doesn’t value her clients. She does. It’s that I find it very hard to feel valued in a group of 300 people. I prefer intimate gatherings, small crowds, close-knit groups. And I want to create that close-knit feeling with & for my clients. That’s what I want. I want a boutique business where I have an intimate knowledge of all my clients. Yes, all the stereotypical trappings of success would be lovely. And I’ll have them one day. So, where can you find examples of businesses that you’d be really proud to run? Those entrepreneurs are your new mentors. Not the people that have reached an arbitrarily defined level of online success. Who has a similar style or personality to you? What are they doing for their business? How are they getting the word out? What is it about their business that you admire? Where do your dream clients overlap, if at all? What can you learn from how they do business that you can apply to your own business, in your own way? Pave your own path. Run your own game. My point is this: you need to think strategically about who your dream clients are & what they need from you to start orbiting around you. What will keep them coming back for you? Not for someone else, but specifically for you. It’s ok to look for business inspiration from others, but only compare you with YOU. I choose not to believe in competition. If you come to me for my copywriting services & then decide I’m not the right fit for you, I’m going to happily refer you on to others that might suit you better. So, what can you do to bring the kind of success that YOU want? Because you certainly don’t want any old success. You want success that feels amazing, that has minimal stress, that makes a difference in the world, that makes you enough money to life YOUR version of a First Class life (whatever that means for you).